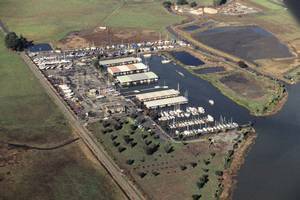 Welcome to Napa Valley Marina Yachts! 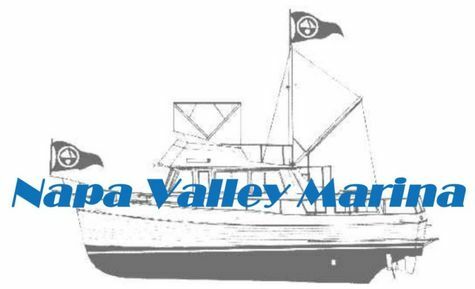 professional crew to complete most repairs on wood or fiberglass boats. OPPORTUNITY IS KNOCKING! GET ON THE GROUND FLOOR RUNNING WITH A SUCCESSFUL WINE COUNTRY CHARTER BOAT! 46 Ft.This amazing vessel has been meticulously maintained by a professional captain and owner. She sports a 17'6" beam which will accommodate up to 25 passengers (USCG approved). She will comfortably sleep 8 with 4 staterooms and two heads. Built and designed by one of New Zealand's most prolific catamaran designer/engineers, Alan Wright and Angelo Lavronos, she proved to be a very efficient, enhanced platform for the 1999 and 2003 New Zealand America's Cup Series. She carried the Gyro cameras for the Louis Vuitton series and AC finals providing excellent efficiency, spacious design layout and comfort for the entire camera crew. The hull is composed of lightweight high-grade gel coat vinyl ester resin for osmosis protection and a Kevlar layer below the spray rail for impact resistance and strength. Combined with a solid layer laminate bottom of foam/matline/glass construction with carbon fiber reinforcing the hull. Being lightweight and fuel-efficient allows it to slice effortlessly through 3' to 5' seas. She is powered with twin Yanmar 230 hp fuel injected turbo-charged engines that provide plenty of power, speed and maneuverability. Her tunnel design is set apart from others by its mid-line keel, providing excellent anti-rolling action when encountering larger seas and riding back-side waves and deep troughs. Kiwi Cat has a fully enclosed flybridge with easy access via the molded fiberglass stairs. She has a large cockpit with easy boarding when stepping on to the swim platform and entering from the transom door. Plenty of protection from the sun with a built-in hardtop. The helm and navigator stations in the command bridge have "state of the art" electronics to allow for precision chart plotting, navigation and safety. If while cruising, one encounters limited visibility, confused seas of inclement weather, the satellite computer-based Furuno electronics guide youi to safety and safe-haven. This vessel is also a certified USCGAUX facility for marine patrols and environmental safety.